Vegan cheesesteaks will be featured at the 2019 Vegan Cheesesteak Party and Cabaret. Vegan food and vegan-theme entertainment will come together this spring as the organizers of Veggie Cabaret and the Best Vegan Cheesesteak in Philly contest join up for one event. 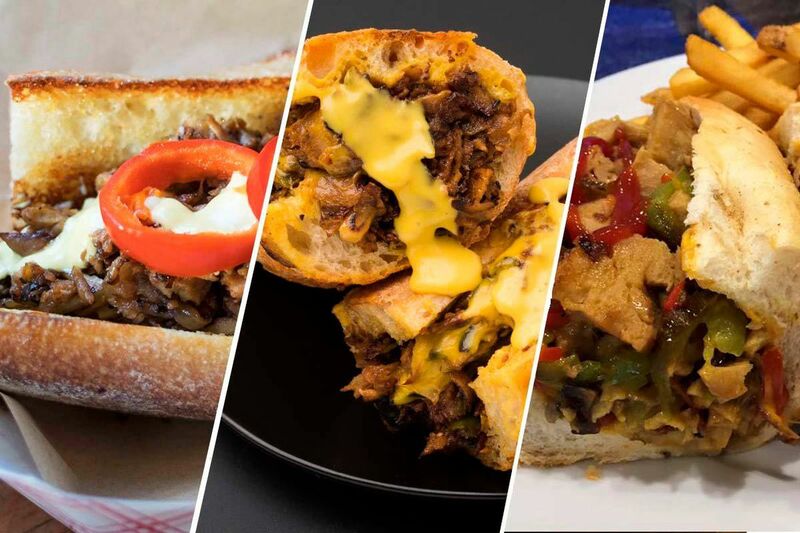 The fifth edition of the “cheesesteak” contest, organized by writer Vance Lehmkuhl, will expand into an event showcasing the many different plant-based versions of Philly’s signature sandwich. Attendees get to sample the top 10 vote-getters. Nominations for the contest — open to all venues in the area with a vegan cheesesteak on the menu —will open in early March. Voting will run from March 29 to April 8. The third edition of the Veggie Cabaret, to start after the cheesesteak awards, will feature headliner Myq Kaplan and will include music and comedy singing the praises of vegan cheesesteaks and vegan living. Ticket info ($15; $10 for students) is here.